Bamboozled February 1, 2019: It was 4 degrees outside. Our heat died. Is an annual service contract worth it? Our heating system went kerplooey. It was 4 degrees outside, and the polar vortex, or whatever was making it so frigid, was projected to stick around a while. We needed our heating system to work. We got it fixed, but we also ended up buying a service contract – something we had avoided in the past. Here’s how that happened. We replaced our heating system in 2016, and we never had a contract. 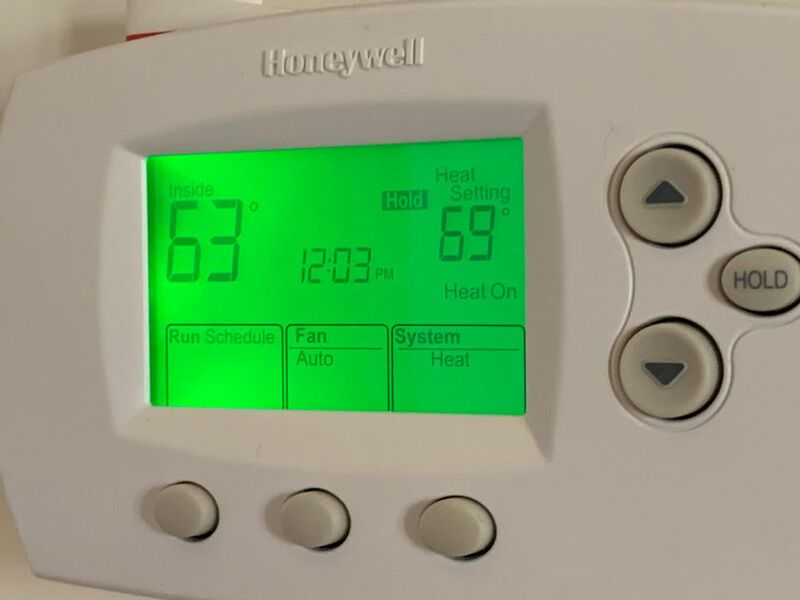 We usually keep each thermostat – we have three-zone heat – at 69 degrees. But overnight on Tuesday and into Wednesday, something went wrong. The upstairs of the home, while we were sleeping, hit 77 degrees. We noticed when the central air conditioning kicked in during the early morning hours. Sure, heat rises, but obviously, something wasn’t right. The two zones downstairs seemed to be just fine, keeping a steady 69 degrees. The hot water heater and furnace, with digital displays, showed no errors. Maybe the upstairs thermostat was wonky. We temporarily shut it off, hoping a simple reboot would do it. But that didn’t work. By the evening, the temperature returned to the high-70s. So we put in a call to the company that installed the heating system to get on a waitlist for a service call. At least our heat was working. Overnight on Wednesday, the upstairs of the home continued to steam. We cracked open the bedroom windows so it wouldn’t feel like a Caribbean island (however much we’d rather be on an island…). That seemed to work for the upstairs, but when we awoke, the two heating zones downstairs presented a new problem. One zone said it was 66 degrees, and the second was 63 degrees. Given the freezing temps outside, those numbers would surely continue to drop. 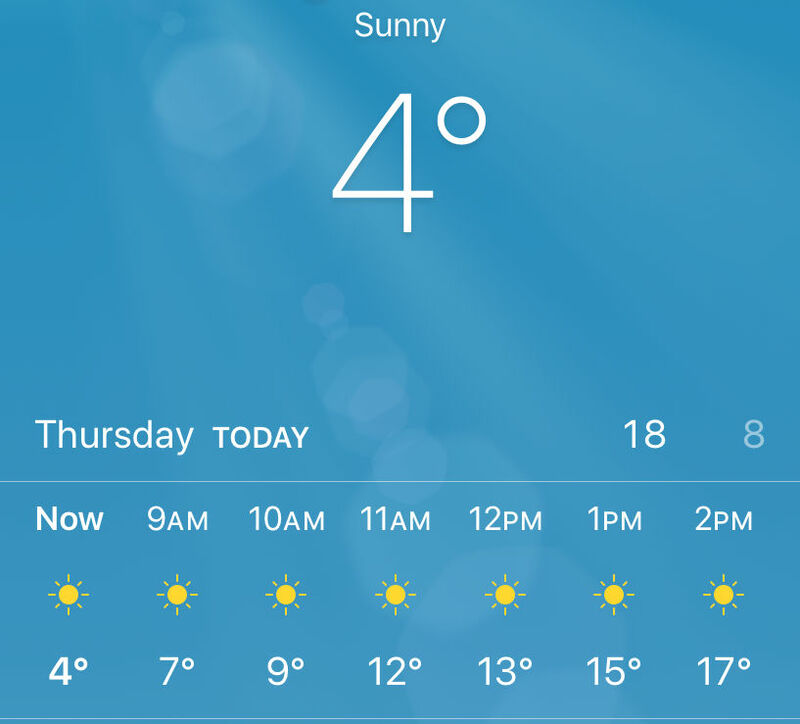 It was 4 degrees outside, according to our trusty iPhone. So we put in another call to the technicians at 8 a.m., and victory! Someone would be here between 9 a.m. and noon for a $99 diagnostic fee. Two techs arrived at 10:30 a.m., and the diagnosis was made pretty quickly thanks to the digital guts of our system. Our control module, which only had a one-year warranty, needed to be replaced. The cost? $413. Ouch. Of course we needed to have the part replaced, but the big question: Did we want to buy a $199 annual service contract? The contract would cover two visits a year – one to get ready for AC season and the other to prepare for the winter. It would include a 20 percent discount on parts and labor, too. The math was clear. Paying for the part and the $99 diagnostic fee would give us a bill of $512 before tax. But if we took the $199 service plan, we’d get the 20 percent discount on the part. The total cost would be $530 before tax. We took the service plan option. So we paid $18 more with the service plan, but the plan would cover a service call for the AC when the weather gets warmer. But is a service plan worth it? We looked around online to compare the plans offered by some of New Jersey’s largest heating and cooling companies, and all the plans were different. Some offered 10 or 15 percent discounts for parts and labor. We didn’t find any that offered discounts larger than the 20 percent one we received. Some offered “priority” service during peak trouble times – times like today. Then there are plans offered by service providers like PSE&G. Its plans have monthly fees and are more of an à la carte plan – you choose which units you want covered. JCP&L offers service contracts, too. But it’s like comparing apples and oranges. We couldn’t find a clear way to compare the plans out there. If you have your systems inspected annually, there’s a good chance you’ll prevent expensive problems, or at least find the problem before it escalates into something costly. But if the service contract doesn’t offer discounts, the contract price could be higher than what you’d pay for a one-time repair. Our advice would be to shop around, and more importantly, ask your friends and neighbors about their experiences. So we ask you, dear readers: Do you have a service plan? What did it cost, and what do you get for it? Are you happy with the plan, the pricing, the service? Let us know your experience in the comments section. And by next year, we should be able to tell if you if our plan was worth it.